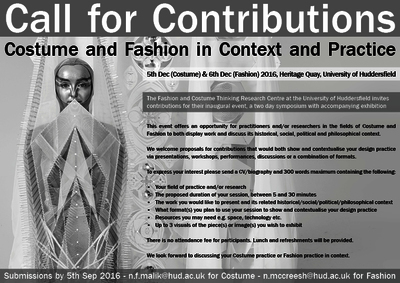 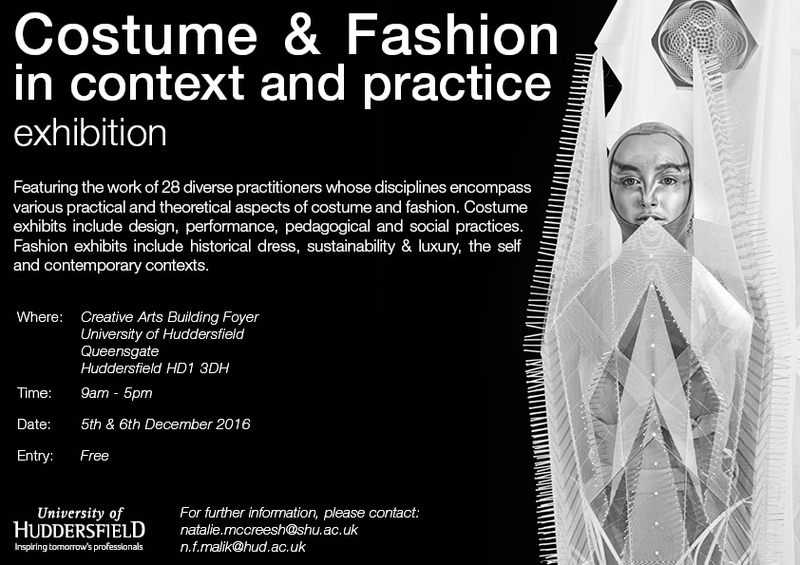 The inaugural event of the Costume & Fashion in Context & Practice Symposium & Exhibition held at the University of Huddersfield. 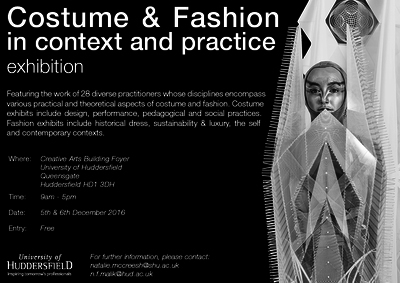 This was a two day peer reviewed symposium with accompanying exhibition hosting students/designers/practitioners/educators/performers. 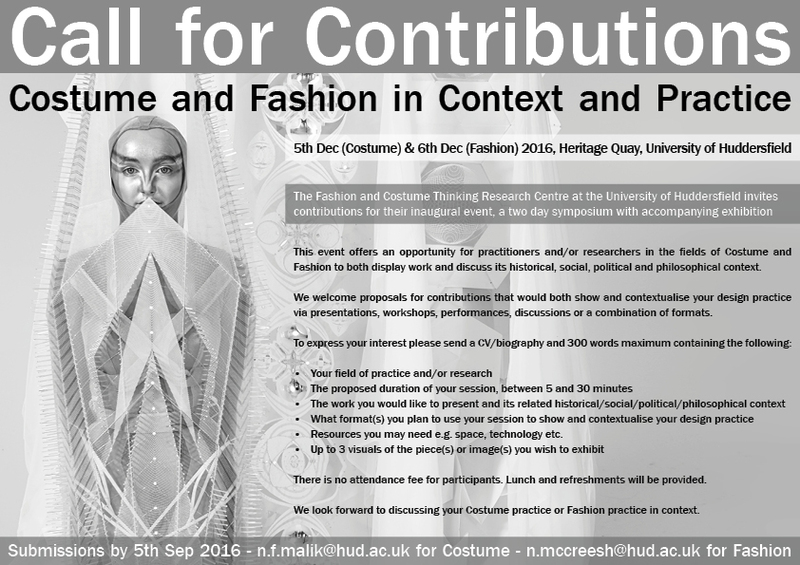 Representing independent practitioners, 22 institutions across 10 countries.